Bottom line was, I had to make one. 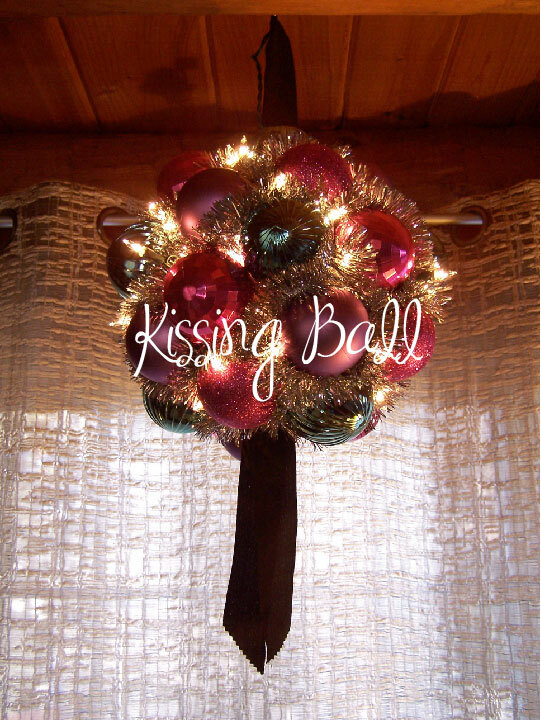 I love traditions and I was ready to start a new one… The Christmas Kissing Ball. Next place six cups on top of your set of 9 and staple in place. You have now completed 1/2 the ball. Make another half identical to this half. 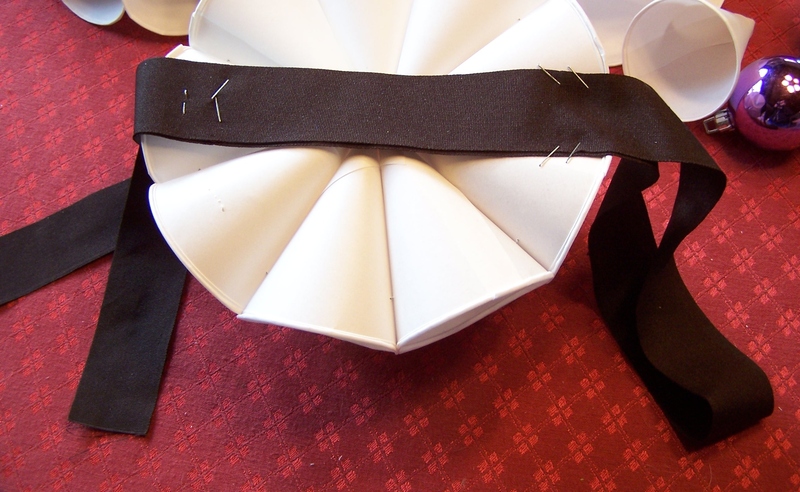 Fold ribbon in half and lay across the bottom side of one of the halves and staple on securely. Next connect your two halves with staples and it’s time to start stringing your lights. Take the end of your light string without the plug and start weaving the light string between the cones beginning at the bottom of your ball where the two ribbon tails are. 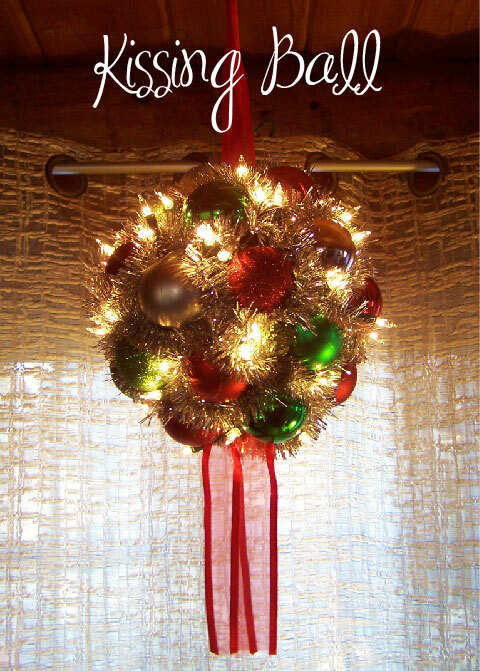 Depending on the number of lights in your string you may need to have two lights poking out in the same spot – just work them in as evenly as possible. Use your stapler to close cup gaps up as needed and to keep cords from poking out. Finish at the top of your ball where the ribbon loop is. 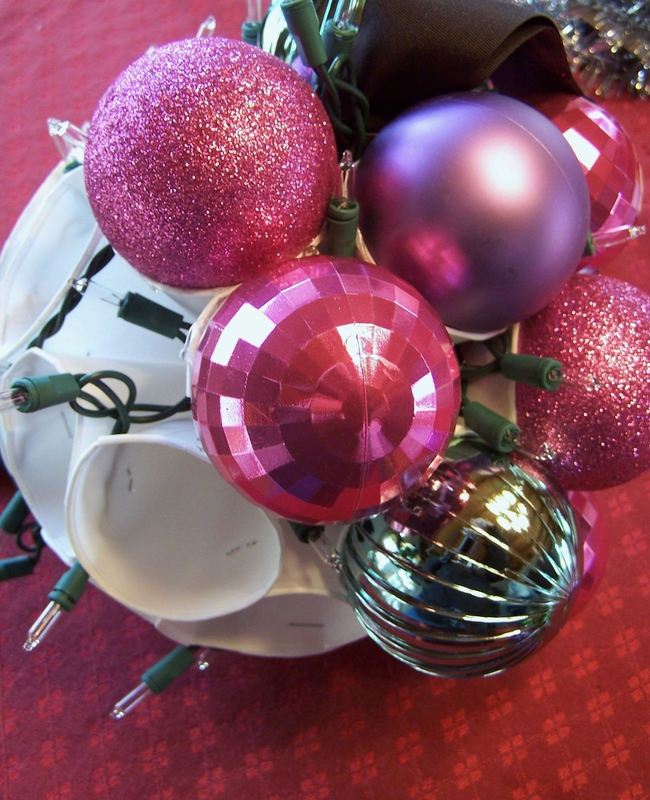 Next get your glue gun ready and start gluing your ornament balls into the cups. 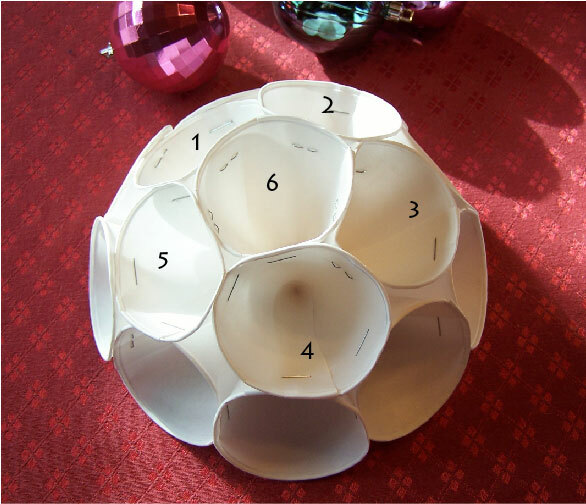 Put a thin ‘bead’ of glue around top edge of each cup and place your ornament inside. 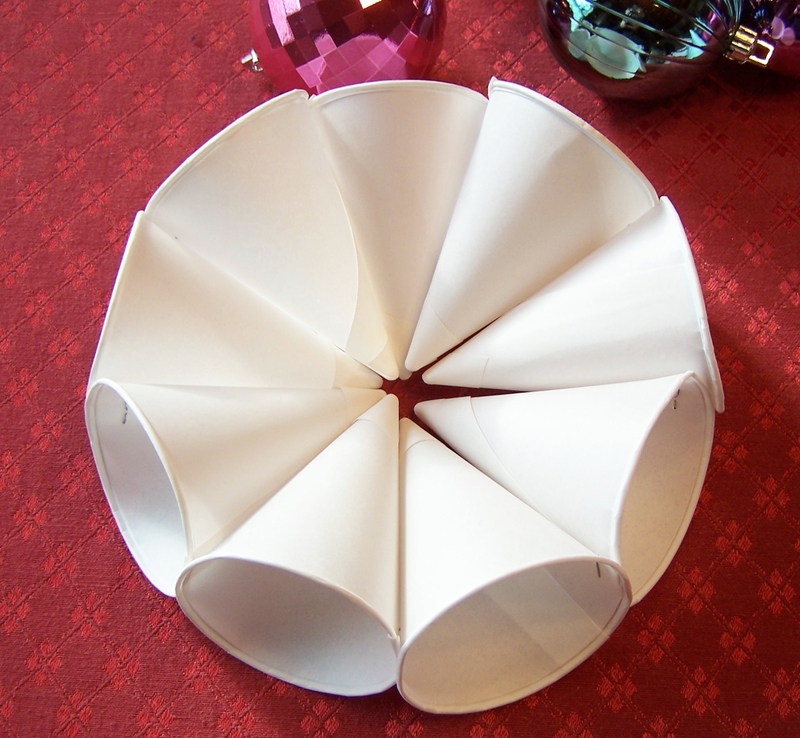 Depending on the size of your cup and ornaments – they will sit up higher or deeper into the cup. 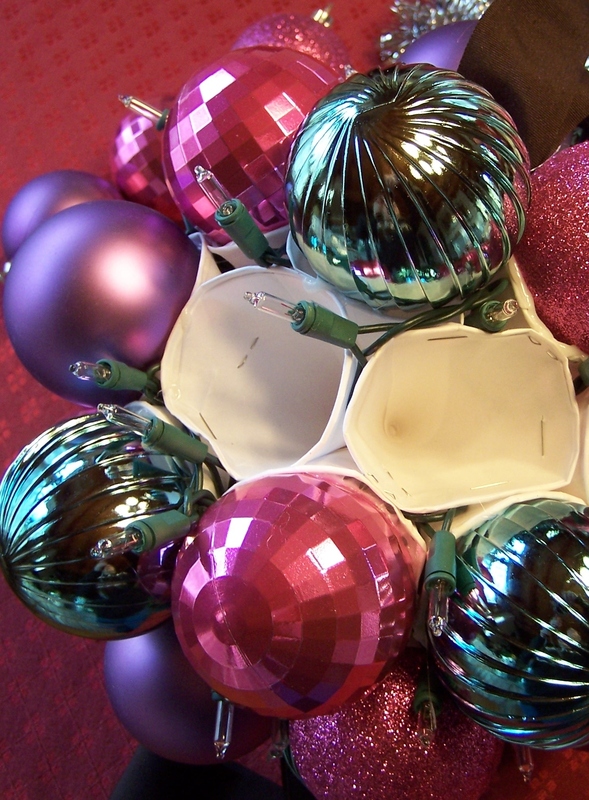 When you get to the end, you might have to really snuggle the last couple ornaments in. I had ornaments of varying sizes so I got to cheat a little here. 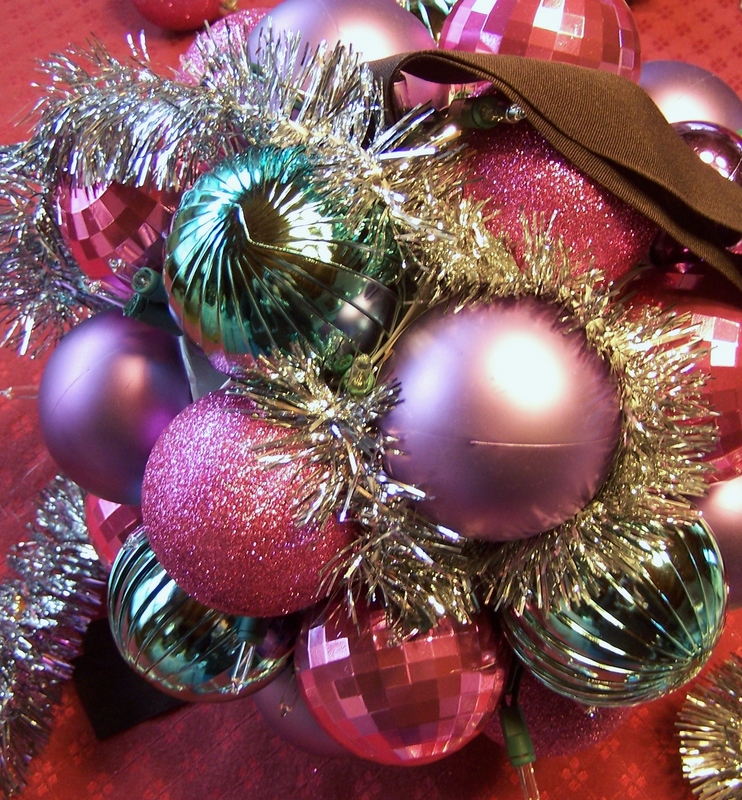 If your ornaments are smaller, you may have more wiggle room between them – no worries – it will all fill in nicely when you add your garland. 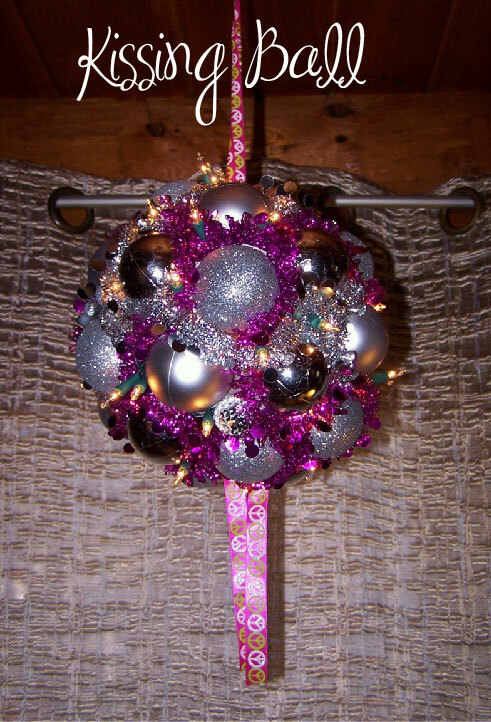 You can also embellish and fill in with miniature ornaments. There are no rules here! 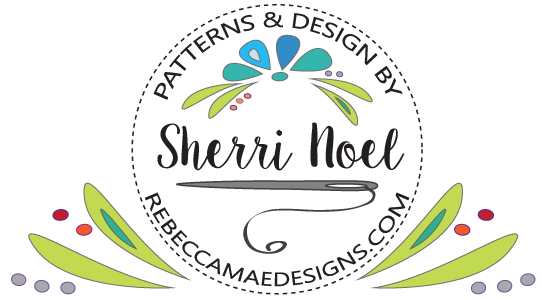 When you are done with your ornaments it’s time for the last step! 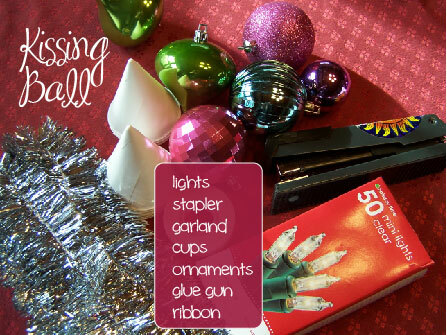 Start at the top or bottom and weave your way around with the garland – applying glue from your glue gun here and there to keep it secure. Now… Light it Up! And test it with a KISS of course! Magic. Thanks so much to Suzanne for sharing with me!